Mirror hours are an intriguing phenomenon which we often come across by accident without giving them too much attention. They appear to every one of us at least once in our lifetimes, but did you know that each of these mirror hours has its own individual meaning? Sequences of repeating numbers can each be interpreted via numerology and the angels, with the latter drawing their strength from the power of numbers. If you see the reversed mirror hour 03:30 when looking at the time on your watch, your phone, your tablet, or your computer, then your guardian angel is definitely trying to tell you something specific or alerting you to their presence. 03:30 is the hour of family, optimism, communication, desire, thought, confidence, and harmony. You should take the time to reflect on your achievements and your successes in life. By focusing more on the positive aspects of life without so much consideration of the negative side, your life will become far more tranquil. If you see the reversed mirror hour 03:30 pay close attention to any signs you may see as they are definitely there to give you a greater understanding of something or else offer protection. 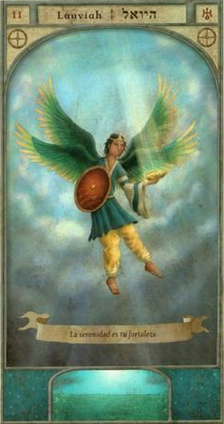 The angel Lauviah represents the return of feelings of a romantic or friendly nature, and also symbolizes premonition. Through your dreams he will give you revelations or premonitions which will improve your telepathic ability. At this moment in time he is telling you that he will make it easier to understand the higher worlds through your intuition and without too much analysis or study. Through the reversed hour 03:30 he is also telling you that he will relieve you of your insomnia and any troubles you are having sleeping to allow for a better quality of rest. Thanks to this guardian angel you will be able to delve into unconsciousness and gain access to revelations which are only available through dreams and meditation. Through Lauviah you will now be able to perceive all the mysteries of the universe and laws of the cosmos. This guardian angel will lead you to a state of calmness and tranquility while raising you up spiritually through his ability to counteract pain, ruin, anxiety, existential dread, loneliness, and melancholy. By his side you will live your life in constant joy and happiness. If you like transcendent or transcendental music, poetry, or philosophy, then the guardian angel Lauviah is informing you that he is there to help you improve your gift through his incredible abilities of clairvoyance. He will also help you to discover the occult sciences. If you have a tendency to surround yourself in illusion and fantasy, Lauviah is informing you through the reversed hour 03:30 that he will put you on the right path and anchor you in the real world. Your lack of knowledge, mistaken perceptions, incorrect behavior, and disbelief will become things of the past. He will also get rid of your stubbornness all while fixing any material concerns that you may have. What does 03:30 mean in Numerology? 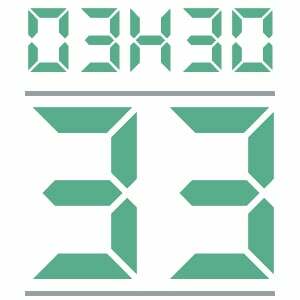 The number 33 is a special number with good energy especially when found in accordance with the reversed hour 03:30. It will bring you luck and success in your inventions and business endeavors. Furthermore he will give you better skills of communication which will serve to simplify your relationships with others, therefore making it easier to convince and captivate an audience. The energy given off by the number 33 is very powerful. The number advises you to learn how to better manage your emotional problems and imbalances. This number indicates a great ability for communication as well as a large ambition defined by an enormous energy, whether that be on the mental, physical, or spiritual level. These are essential characteristics which put you at the head of a team or a movement at the human level. The numerology of the number 33 suggests that you thrive when you find balance between the earthly and spiritual realms. It also suggests that you are gifted with a highly-developed sense of empathy. This means that you are a person who is sensitive to the pains and injustices of the world. You should develop your ability to rise above painful situations and have trust in fate so as not to fall into pessimism. The numerology behind the number 33 also connects to your life path. You are very persistent and will carry on until you have achieved an ideal version of what you have set out to do, but you are also fortunate enough to have a lot of people at your back. Those close to you will not allow you to fall so low as to be unable to achieve your goals. Your family holds an important position in your life and they constantly give you their support. You are someone that can be trusted. You are a very friendly and compassionate person and this allows you to forge strong relationships with other people. What’s more, your life is oriented towards others through your protective and devoted nature. You have the character of a true leader and many people consider you to be their mentor, professor, or even their spiritual guide. 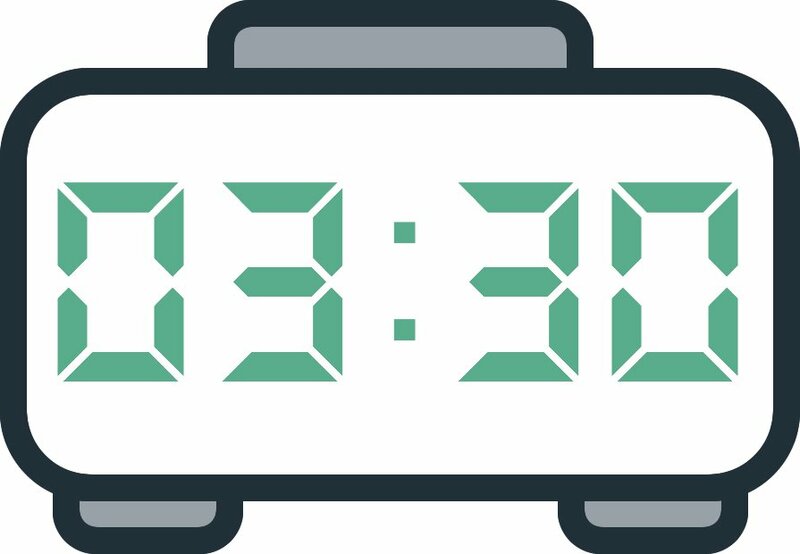 Any comment on the 03:30 mirror hour? How wonderful! I’ve been intrigued all this time by the mirror hours. It happens to me all the time. Finally i’ve some positive responses to something that have been part of my life for a long time. Thank you Aluvia I love you Angels! Thank you for helping me get rid of the pain, pessimism, worries about money, anxiety, insomnia, and encourage my spiritual journey!